Although Garapan is the heart and soul of tourism and business in the CNMI, visitors are also frequently greeted with the sight of garbage, the smell of sewage, and large puddles to navigate around in the street. 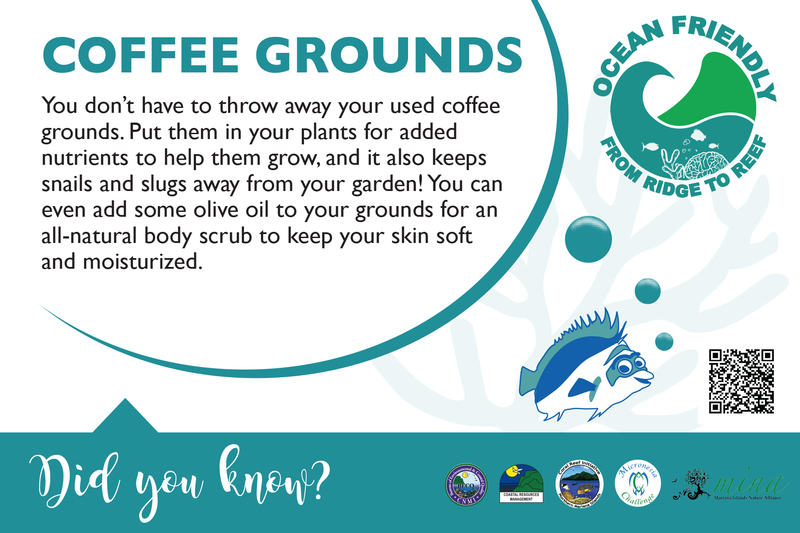 Most of these problems are caused by non-point sources of pollution washing down through the watershed and accumulating in underground drainage’s which eventually fill up and pour the unappealing brown water untreated out into the lagoon. While many people have seen the brown plumes of stormwater flowing into the ocean on rainy days, few have witnessed the far worse piles of dirt, debris, garbage and bacteria that gather underground. Though they are out of sight, BECQ has identified sludge, sediments, trash and other forms of pollution in the drainage’s as being the key cause of red flag notices on the beaches, poor water quality and major flooding in Garapan. 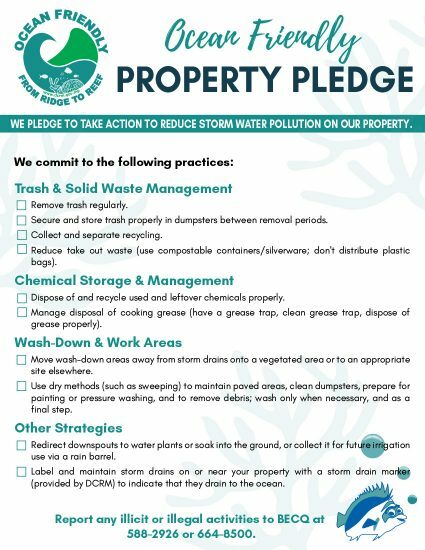 The drainage’s should be maintained annually, but lack of local funding has meant that the drains haven’t been cleaned in over time. Everyone should have access to clean water to work, swim and play in. 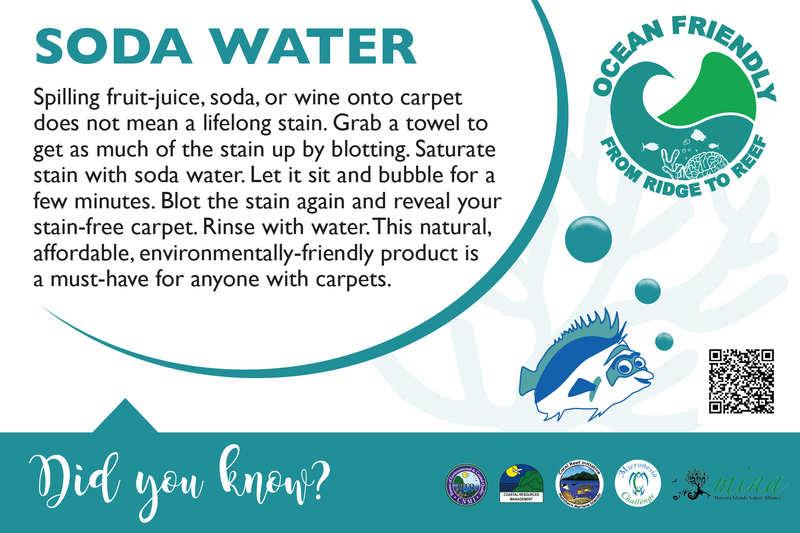 The Garapan Clean Water Campaign is taking a new approach to tackle ocean pollution problems. We are testing the waters for bacteria and toxins, raising public awareness and finding real solutions to ocean pollution; solutions that restore healthy watersheds, protect local water supplies and keep pollution from reaching the ocean. Improving coastal water quality has been one of the CNMI’s top priorities over the last 10 years. 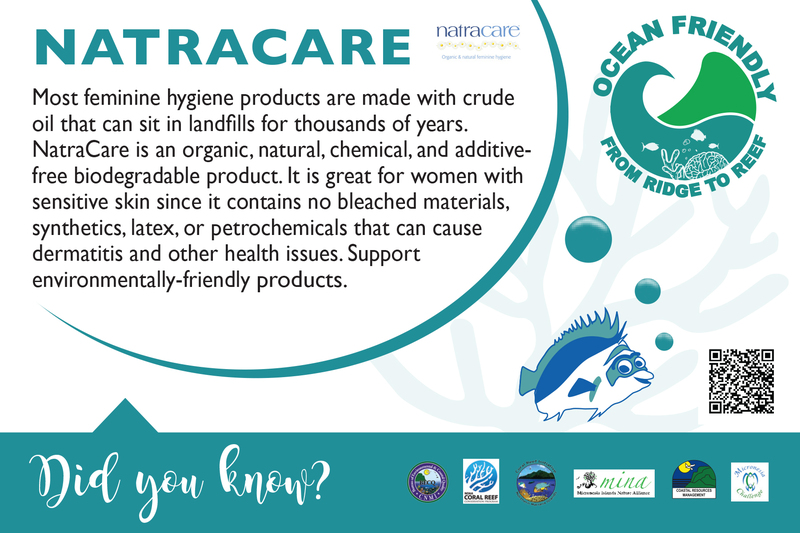 Our Garapan Clean Water Campaign strives to protect water resources and prevent pollution from reaching the ocean. 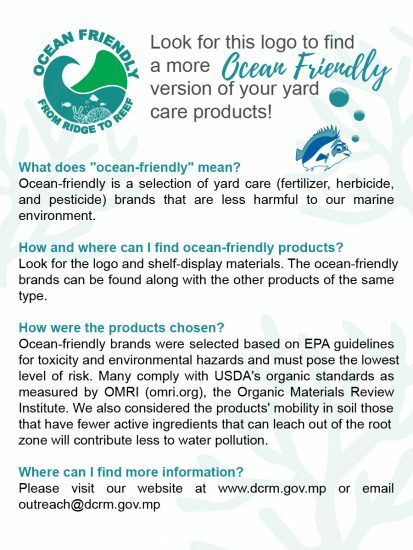 Water quality at the beach is threatened by pollution from urban and agricultural runoff, sewage spills and overflows, and waste discharged into the ocean. The urbanization of our coasts has also altered and polluted the natural water cycle, allowing polluted runoff to go straight towards the ocean. 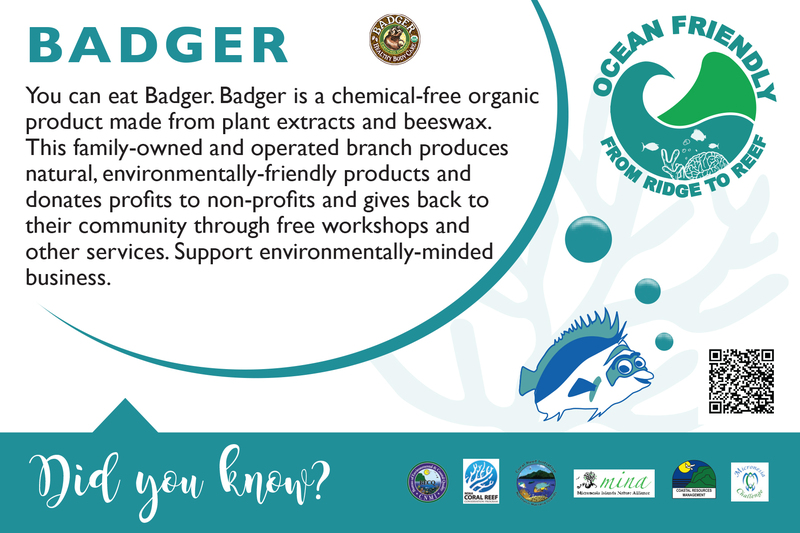 The Garapan Clean Water Campaign Initiative works to protect our wetlands, ocean, and communities from water pollution by focusing on two main programs. 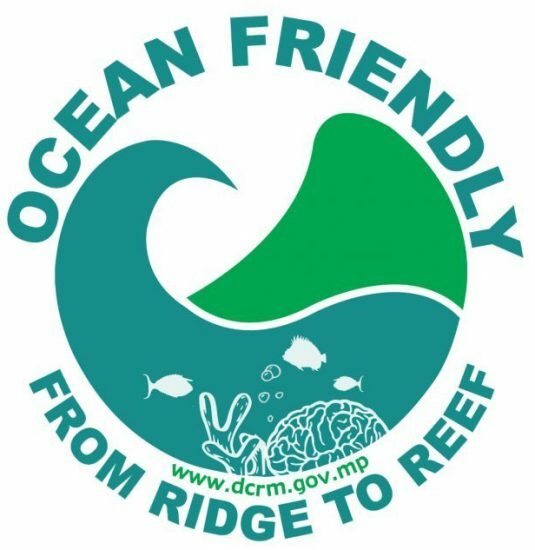 These programs are the Garapan Storm Drain Marking Program and the Ocean Friendly Partners Program. The Garapan Storm Drain Marking Program aims to protect our waters by helping the community identify storm drains around the area and how we are contributing towards polluting our waters. 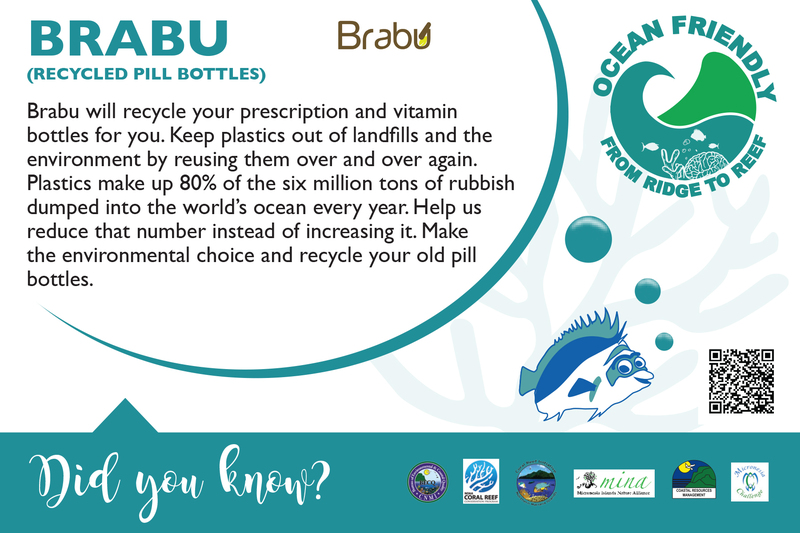 The figure above is a marker that will be placed on every storm drain in the Garapan area. We strongly urge the community to think twice before dumping anything into the storm drains as this creates health hazards in our swimming areas causing red-flagged beaches, contaminated fisheries, and also affects our drinking water sources. For more information on storm water pollution and storm drain marking, contact the Bureau of Environmental and Coastal Quality at 664-8500. 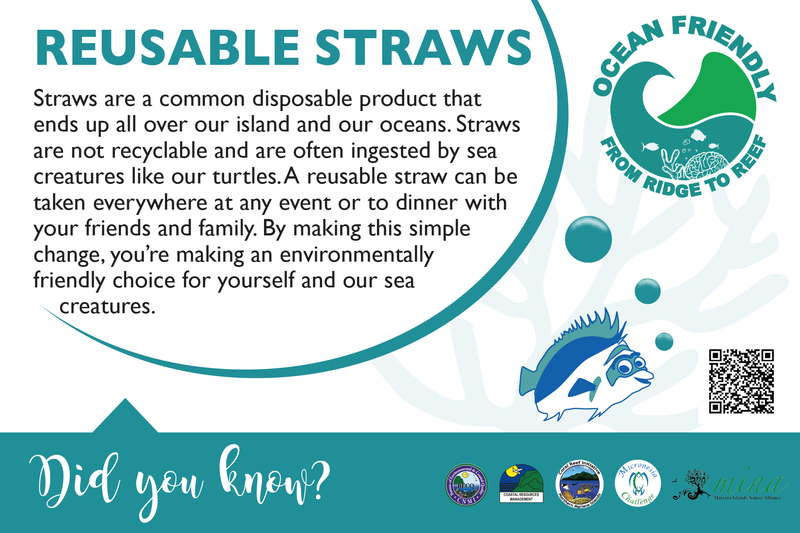 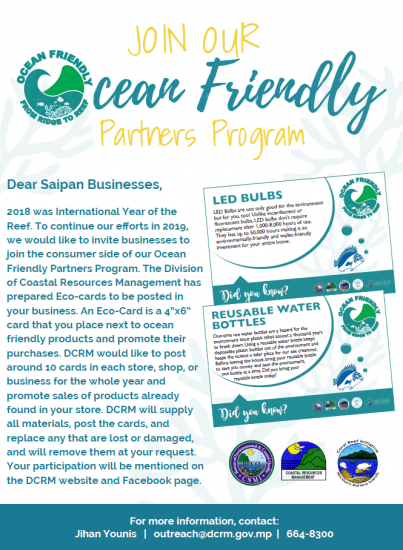 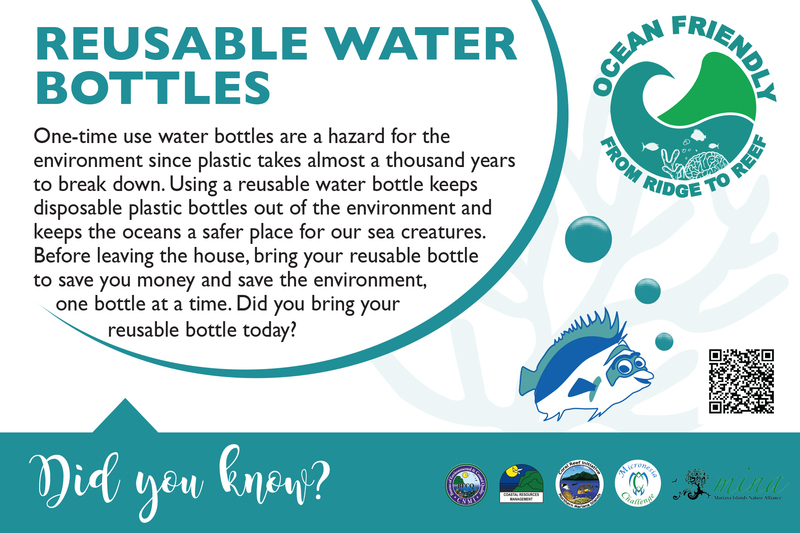 The Garapan Clean Water Campaign Initiative is seeking partnership with Saipan businesses to participate in our Ocean Friendly Partners Program. 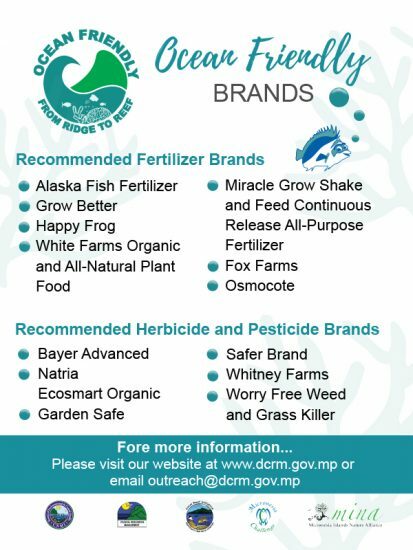 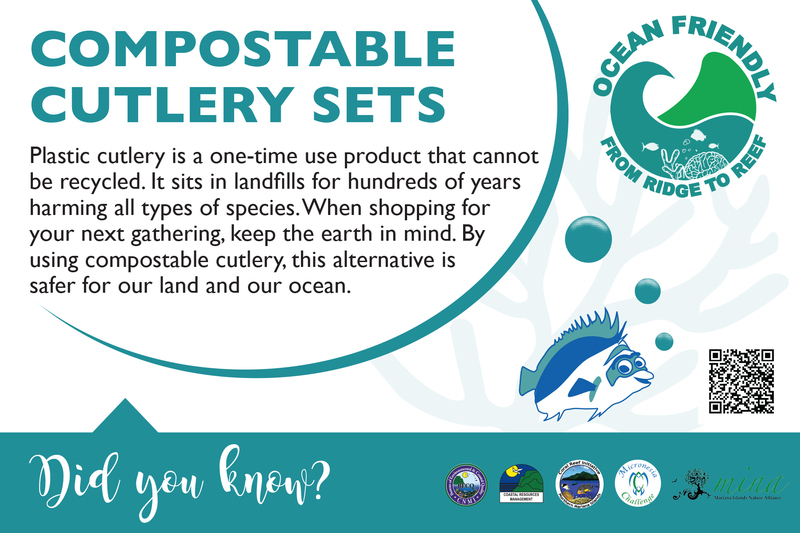 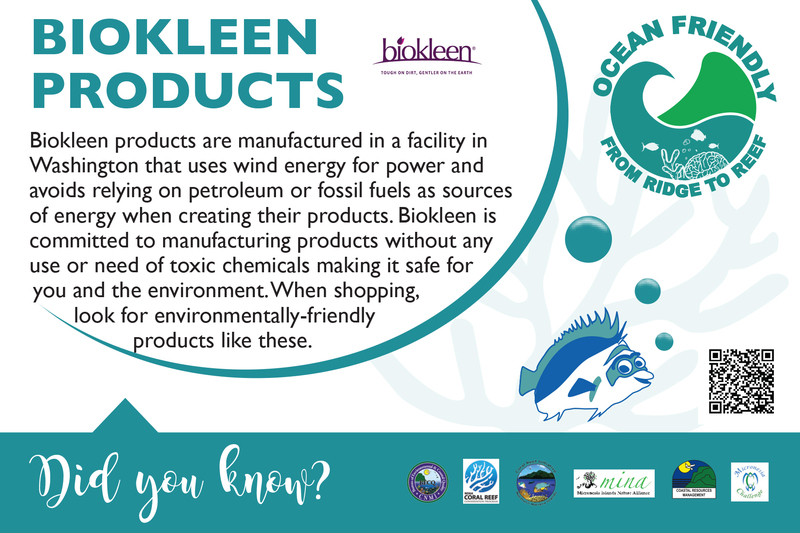 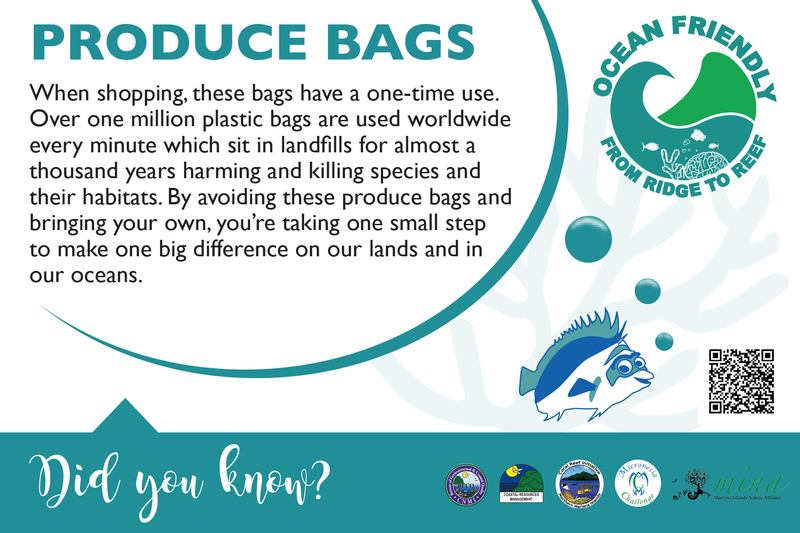 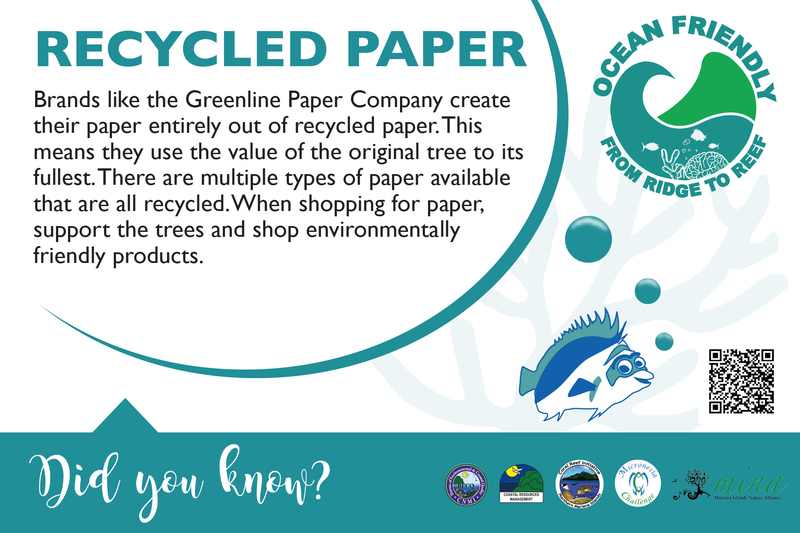 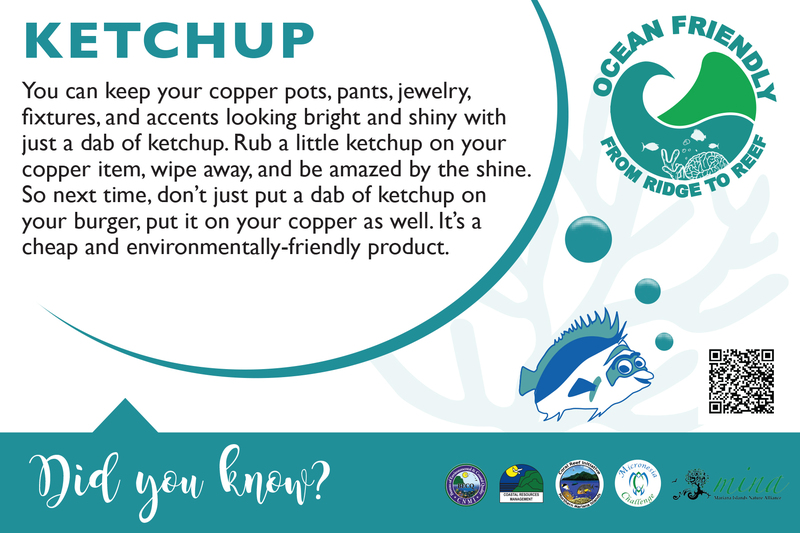 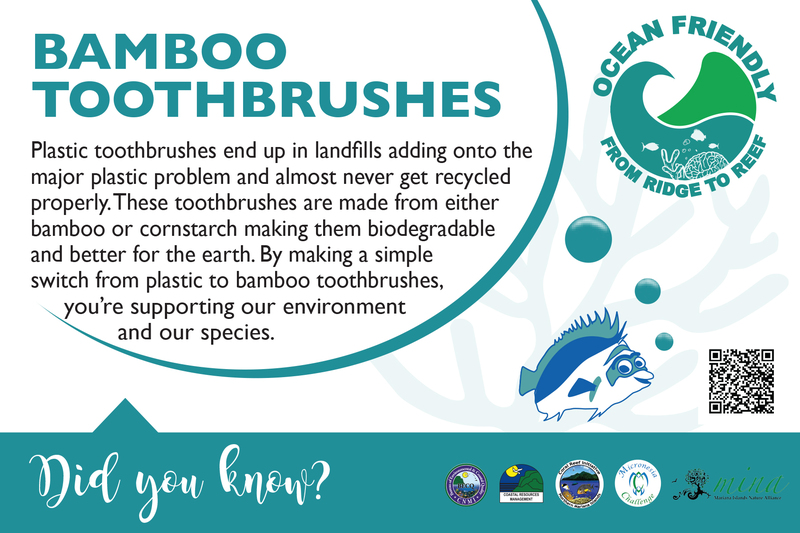 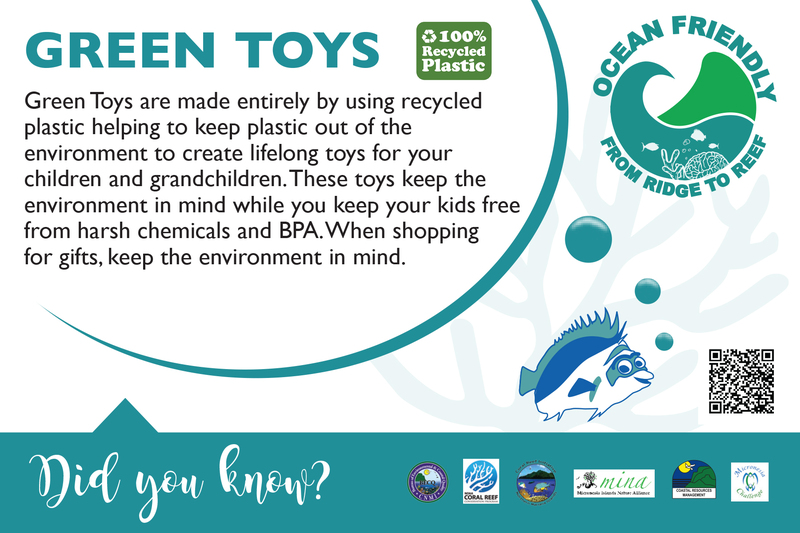 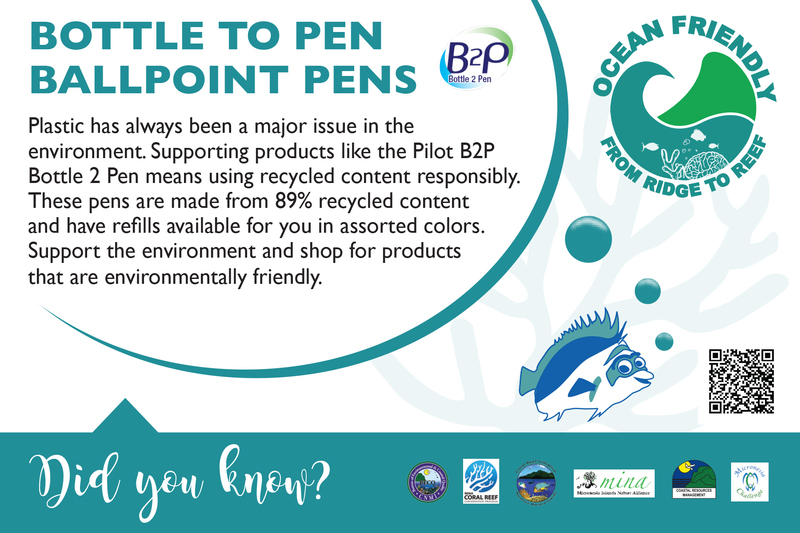 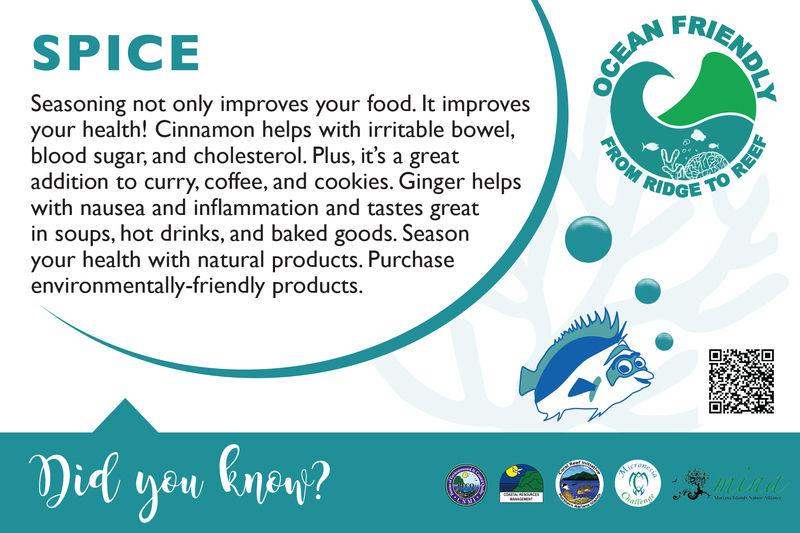 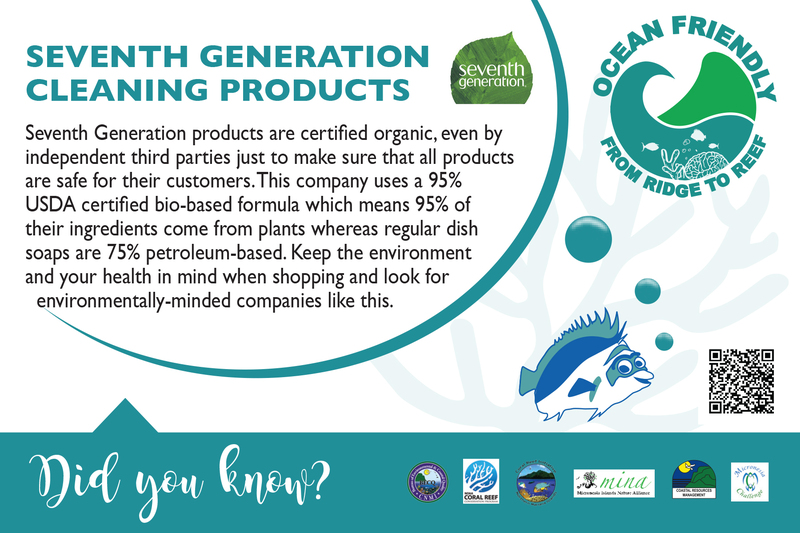 As part of the program 10-15 eco-cards will be placed next to ocean friendly products in your store and promote their purchases. 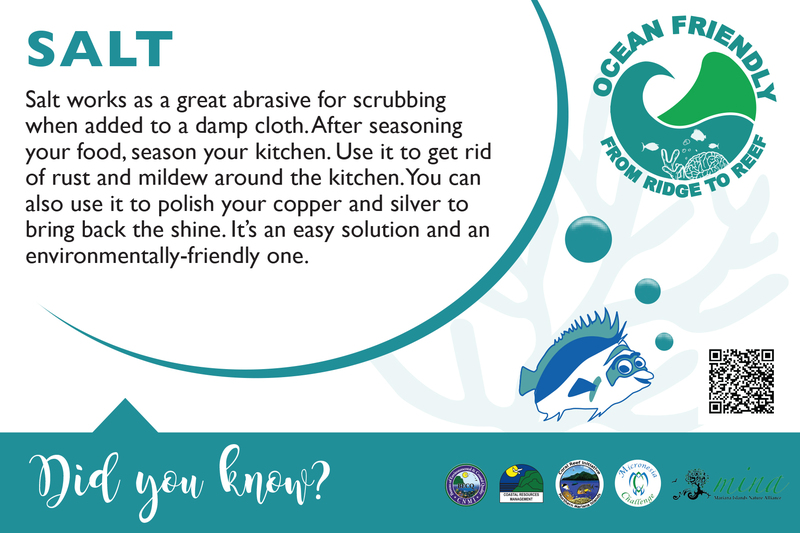 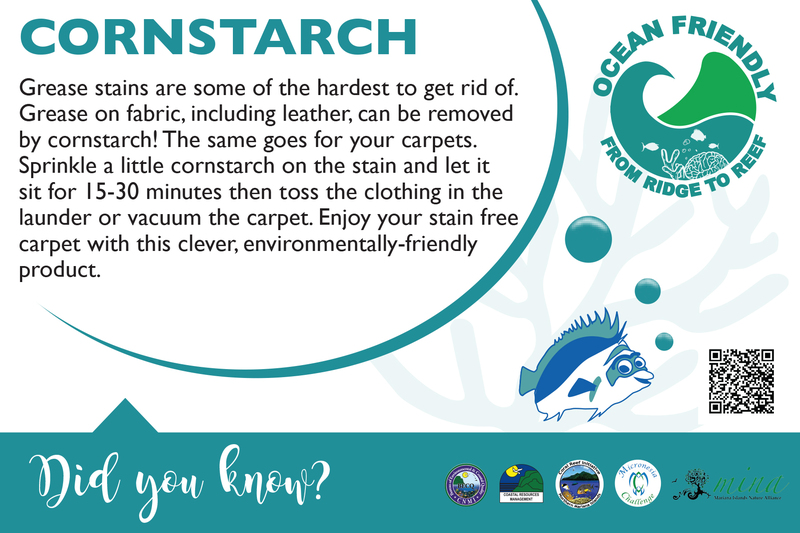 Ocean friendly cleaners in your kitchen! 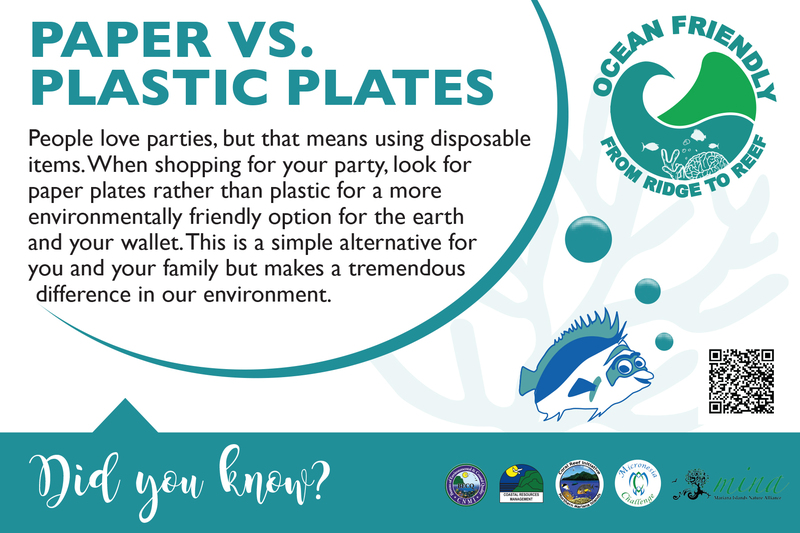 The Garapan Clean Water Campaign Initiative is seeking partnership with the Garapan business community to participate in our Ocean Friendly Property Pledge. 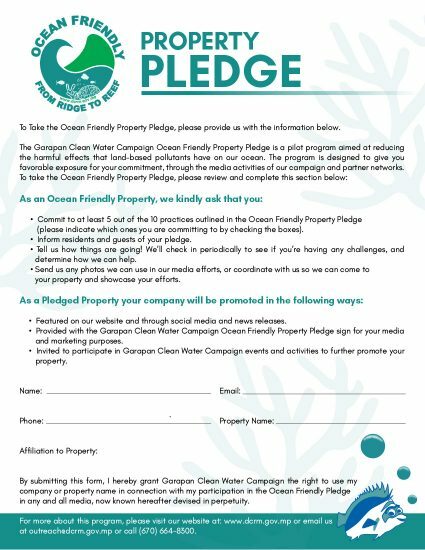 Businesses who commit to this property pledge receive recognition on our website as well as localized print materials for their business.